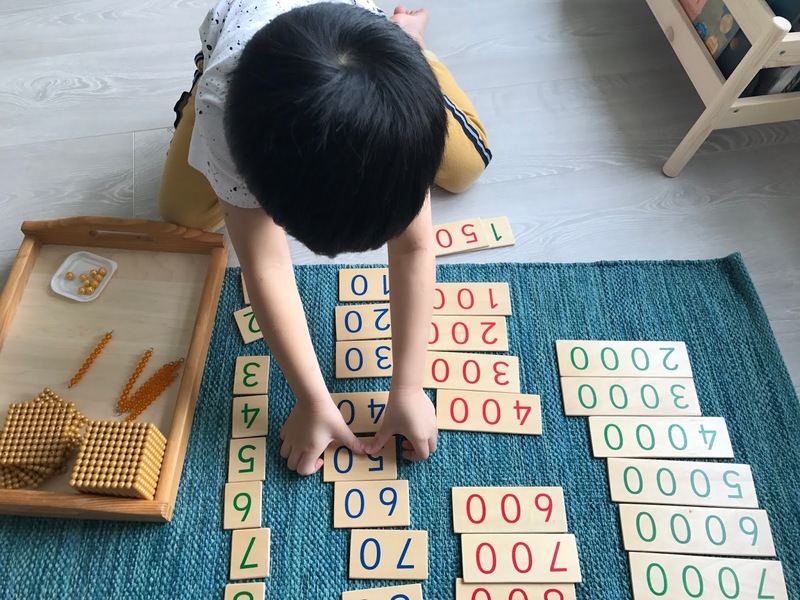 Montessori Bank Game is an activity where a child is given a number using the wooden number cards and then goes to the "bank" to get the corresponding golden bead material. I made the task cards so numbers are readily available for him to choose from. The set is available in 2, 3, and 4 digits. We are playing the Bank Game in two ways: first, Vito picks a number and assembles the corresponding golden bead material and second, I assemble the golden bead material and Vito will select the corresponding numbers using the wooden number cards. I've posted this in our IG stories last week and you can watch the video again in the highlights: MATERIALS. 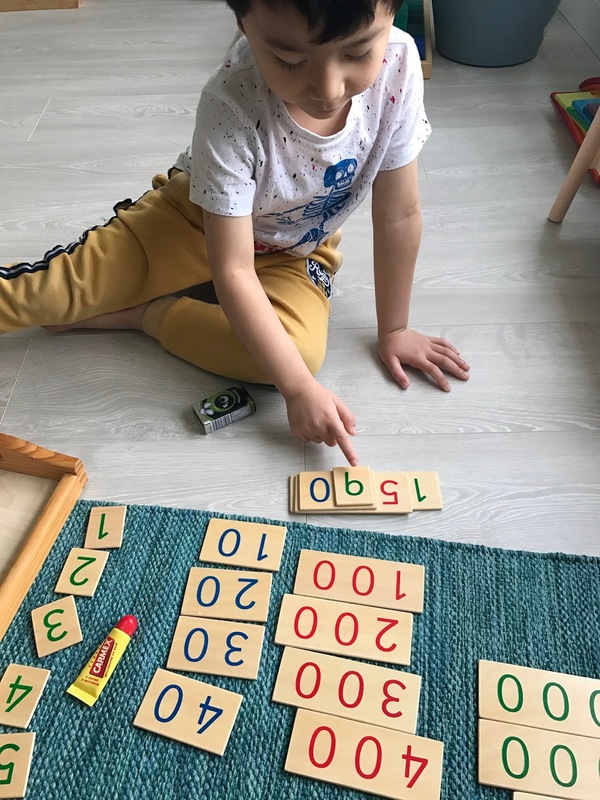 Here's the first game: "Go to the bank and give me the corresponding beads"
The second game: "Count the beads and assemble the corresponding number cards to form the number"
This is one of my favorite 3 to 6 year old Montessori math games. This method introduces the child to the concept of place value, teaches how to build and read big numbers, and demonstrates the value of the digits in the formed number (thousand, hundreds, tens, units). We used our Golden Beads Task Cards in this activity and if you are interested, you can get a copy of our Golden Beads Task Cards here or click the image below. We will stick with this activity for awhile and maybe move on to addition and subtraction by February when Vito is ready. Did you find this post helpful? What extension work do you do with the Golden Beads? I'd be happy to hear what you come up with.